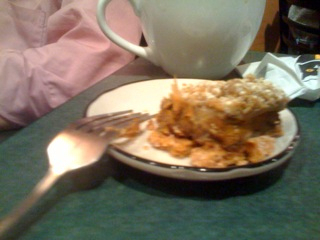 Bill and I are sitting in a local coffee house having dessert and coffee after dinner. 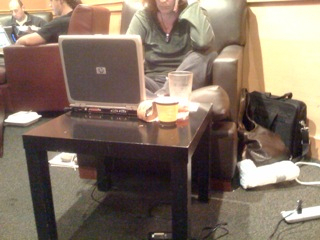 In the time it takes me to wolf down my piece of cake (I love cake and I am not a dainty eater) the woman sitting across from be has rebooted her HP Windows machine 4 times. Just as I am about to wink at her and tell her to buy a Mac, she reboots a 5th time, but this time her hands are clenched in fists. She slaps her left thigh and I hear her moan in frustration. I send Bill an instant message. He recognizes the mischievous grin, but I restrain myself (I know .. Where's the fun in that? ).